AIMCO specializes in providing the most complete line of assembly and fastening solutions, including light to medium assembly as well as heavy industrial. Consider AIMCO your one-stop source for the highest quality products, unsurpassed service and exemplary industry experience. Impacts – come in a variety of drive sizes and torque ranges to meet application needs in many industries. Drills – have a wide range of speeds for various applications. Grinders – ruggedly designed for mounted wheels & carbide burrs, ideal for rapid metal removal or precise finishing. Sanders – have a well-balanced orbital action that achieves a smooth scratch-free finish on any type of material. Riveters – slow hitting heavy blow gives just the right impact to form a rivet without excessive work or damage to the surrounding metal. 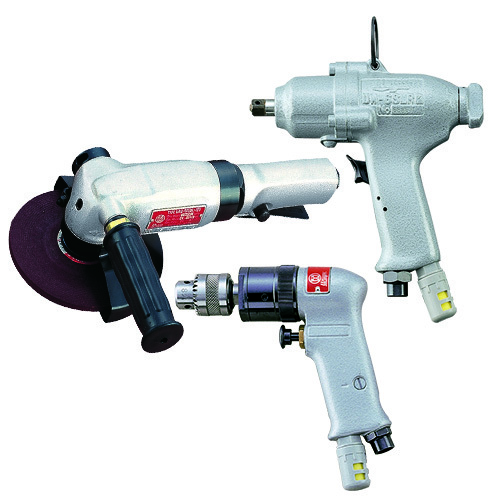 AIMCO General Assembly tools - when PRODUCTIVITY, ERGONOMICS, RELIABILITY and QUALITY matter.